Custom Home Remodeling & Roofing has been in business for almost 10 years now and is founded on the pillars of trust, honesty and professionalism in an industry that is fraught with a lack of it! Call us at 866-336-5882 to hire a reliable company with experience and endless capabilities! The Roofing Contractor That Will Help You! CHR Roofing is a licensed roofing contractor specializing in residential and commercial roofing solutions. With over ten years of experience, we have proven to be one of the best roofing contractors. We are based in Carson, CA., and have recently expanded into the Indianapolis, IN. metropolitan area. From shingle work to complete roof installation, our CHR Roofing contractor will work with your specific needs and budget. Our experienced team is ready to handle all of your roofing demands. Protect your home, from top to bottom. The roof is the first line of defense against the natural elements. Over time, it is inevitably affected by weather, debris, wind, and moisture. Inadequate roofing protection can absorb moisture and facilitate mold growth, leading to potential structural issues. 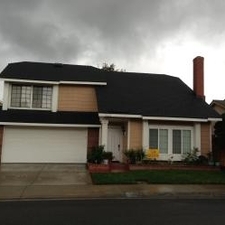 With changing weather patterns, a low-quality roof can deteriorate quickly. The professionals at CHR Roofing can install a durable roof to protect your home in any season. Our thorough quality control protocols ensure that your roof is properly built. We use the best materials adapted to climates that are region-specific to you. Installing a new roof can help reduce your energy efficiency costs. Quite often, the energy used to cool or warm a home can escape through unseen crevices or cracks. This loss of air or heat eventually costs you more money and resources in the long run. With proper sealants, roofing construction, and waterproofing, our roof installation can save you money on energy costs. Sourcing only the best materials. When sourcing materials for your roof, we place an emphasis on quality above anything else. We consider your home’s specific needs while working with your budget. Our professional team works with tile, shingle, flat roofing, rolled roofing, metal, and more. When it comes to your home, we dedicate unmatched attention to detail. We have experience servicing communities in Orange County, Los Angeles, San Diego, Santa Clarita, and Palmdale. Our clients include satisfied homeowners who demand a broad range of roofing options, such as custom slope roofing and contemporary designs. A quality roof installation is an important investment for your business. Our top priority is ensuring that your commercial facility has a roof that is appropriate to your daily operations. When installing your roof, we consider the business type, aesthetic requirements, and budget, among risk and safety factors. Our contractors work with you to establish reasonable timeframes for installation, so you can get back to running your business. After you have your new roof installed, CHR Roofing can provide the maintenance it needs. We keep an eye out for buckling shingles, cracked caulk, worn vent pipes, signs of moss or algae, and other wear and tear. Give us a call today to get a free quote. 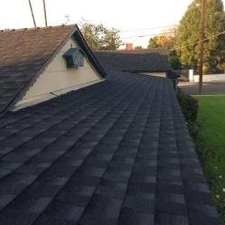 For more than 10 years, we have serviced many happy homeowners and have earned the reputation as one of the best roofing companies companies in Southern California. For more information on our outstanding roofing services, call us today at (866) 336-5882!